In today’s post I am discussing how to save space when you have a small home. We’ve recently transformed our dining room into a playroom so that Bubba has somewhere safe and secure to play while we are downstairs. In true thrifty fashion all of the items sourced to furnish this room were purchased from secondhand shops or bargain supermarkets. I’m pleased to say that this transformation was completed on a small budget and I hope you like the results! 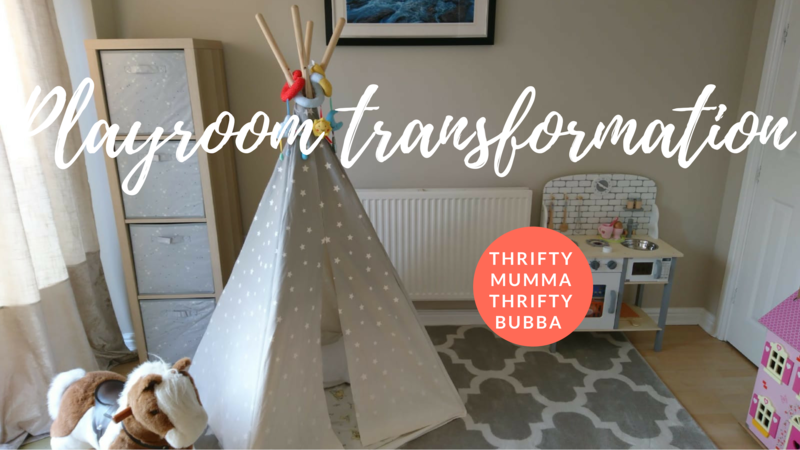 To see a tour of our new playroom and to hear my space saving ideas then please click here to visit my YouTube channel. What’s your best tip for saving space in a small home? Where do you love to shop for second hand toys? Comment below and let me know!